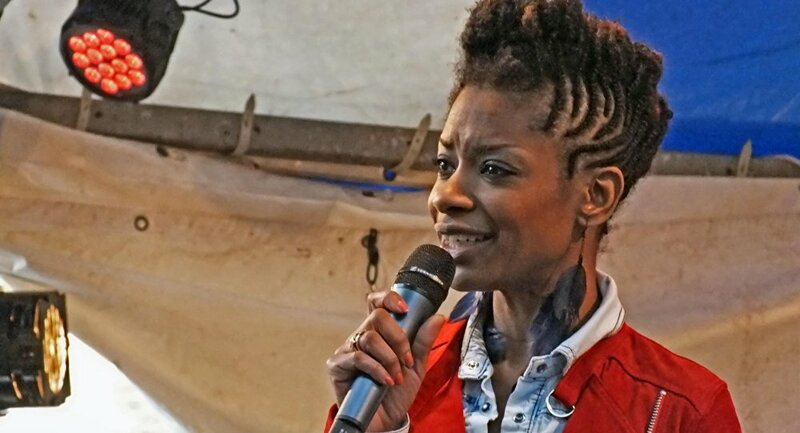 Europe's first pro-Muslim, anti-racism party, Denk, has been given a major boost after the well-known Dutch television and radio presenter Sylvana Simons - who was born in Surinam - announced her candidacy in the national elections next year. Denk (which means 'Think') was set up in 2014 by two ethnic Turkish lawmakers in the Dutch Parliament — Tunahan Kuzu and Selcuk Ozturk — who were expelled from the Labor Party for refusing to back the party line on integrating immigrants, describing it as "exclusive." "a caring society in which we have an eye for each other; a learning society in which we utilize everyone's talents; a sustainable society where we have to worry about our environment; a just society, promoting international justice," according to their website. The decision by Simons to sign up for the Denk party was widely ridiculed in the press, which described it as a party of pro-Turkish President Recep Tayyip Erdogan whingers. One paper, The Parool led its front page with an analysis headlined "Immigrants have had enough." The paper said the Denk party reflected the fact that migrants are "the victims of a hostile society. Why should they have to work harder to prove themselves, why don't they get jobs and why are they constantly asked to justify their religion? "Simons might very well fan the flames of immigrant discontent", the paper concludes. The fact that such a high-profile personality has joined Denk will play into the hands of rising right-wing anti-immigrant sentiment across Europe, enflamed by the migrant crisis, which has seen a huge influx of migrants — many Muslim — into the continent. Critics of the EU-Turkey migrant deal — which could allow for visa-free access for mostly Muslim Turks to have access to the Schengen zone — say it will flood Europe with Muslims and destabilize the area. There has been a huge rise in support for anti-immigrant parties across Europe, most recently in the Austrian presidential elections which saw Norbert Hofer, of the anti-immigrant, Euroskeptic right-wing Freedom Party defeated — but by just 50.3 percent against 49.7 percent. Other countries — mostly in Northern and Eastern Europe — have seen growing support for right-wing parties. In Poland, the Law & Justice Party secured 37.6 percent of the vote in 2015 and formed a government. The Danish People's Party secured seats in parliament with one in five voters backing it. There have been similar rises in Hungary, France — Marine Le Pen's Front National — Germany (AfD), Hungary (Jobbik), Belgium (New Flemish Alliance), Britain (UKIP, led by Nigel Farage) and many more, including the anti-immigration Lega Nord in the European Parliament led by Matteo Salvini. The anti-immigration Alternative for Germany (AfD) broke off talks Monday (May 23) with representatives of the Muslim community that had been intended to ease tensions after the party declared Islam incompatible with the German constitution. 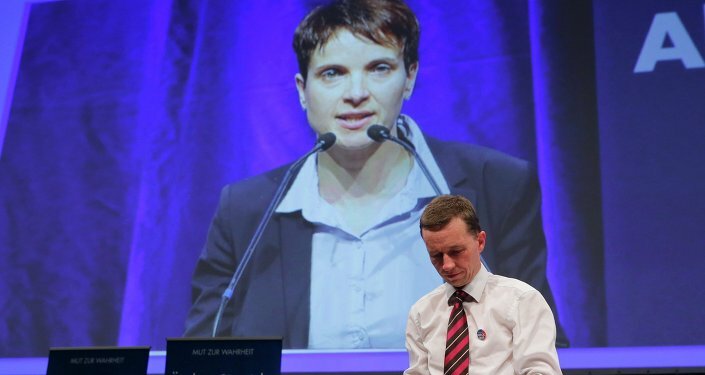 AfD leader Frauke Perry said she had walked out of the meeting after a prominent German Muslim refused to retract a comment comparing the AfD with Adolf Hitler's Third Reich.